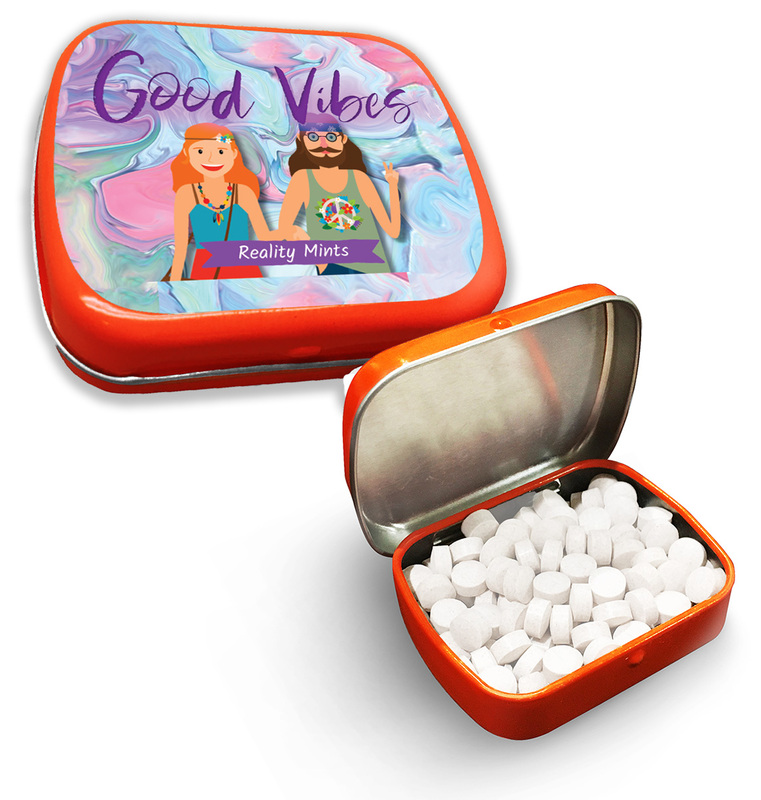 If you’re longing for a peaceful moment, embrace your inner hippy with a soul- and breath-cleansing taste of Good Vibes Mints. 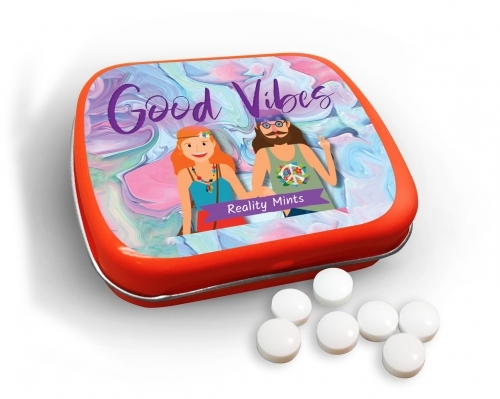 This funny tin of sugar-free mints is far out for anyone who digs peace, love, happiness, and groovy breath. If you’re caught in a heavy situation and need to mellow, don’t flip out. 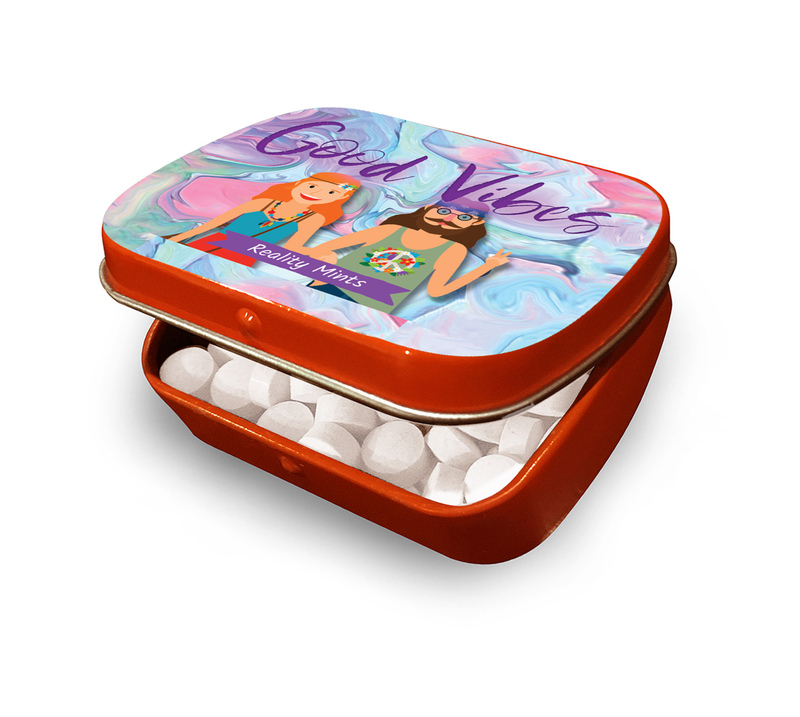 Pop a few of these refreshing peppermints and be cool. 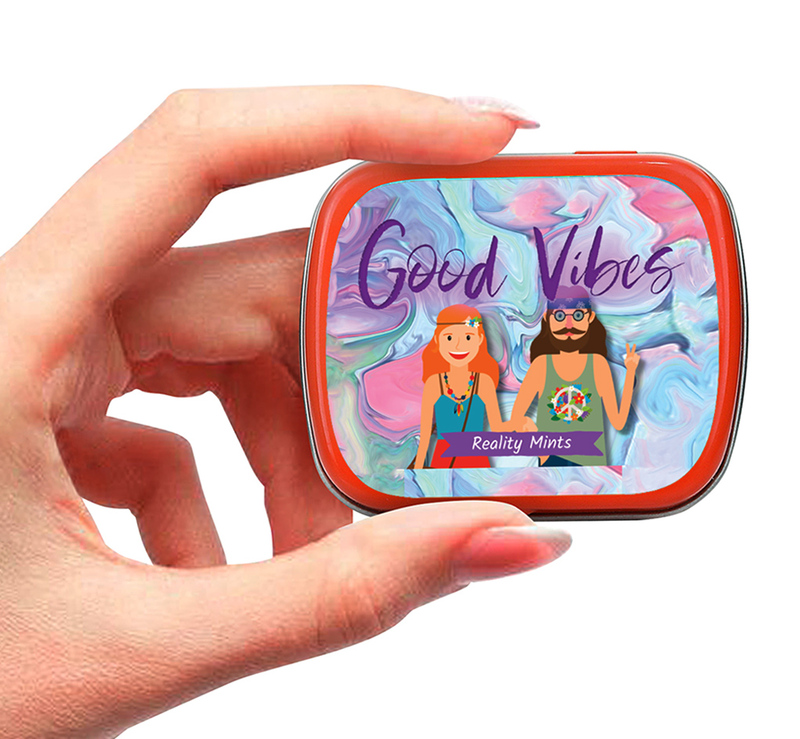 Good Vibes Mints are a groovy gift for friends and family who think tie dye with bellbottoms will never go out of style and love and peace are totally outtasight. Filled with peppermint breath mints, this hippy gag gift for men, women, and teens makes a silly stocking stuffer or addition to Easter baskets, birthday gift bags, care packages, or Valentine’s Gifts for anyone on your gift list. They’re also a wicked choice for White Elephant parties or Secret Santa gift exchanges.